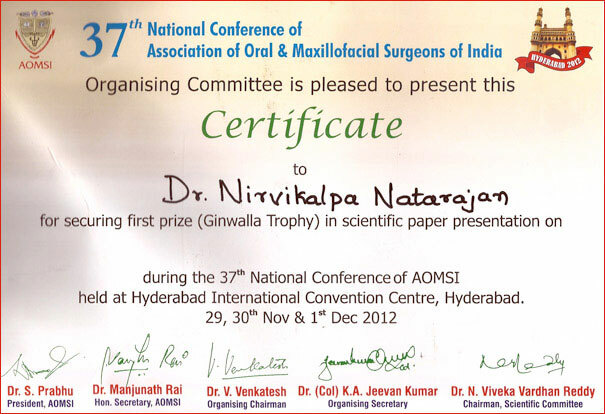 Dr.Nirvikalpa Natarajan was awarded the M.S.N Ginwalla Trophy for the Best Scientific Paper in the 37th National Conference held by the Association of Oral & Maxillofacial Surgeons Of India in Hyderabad on 1/12/12. 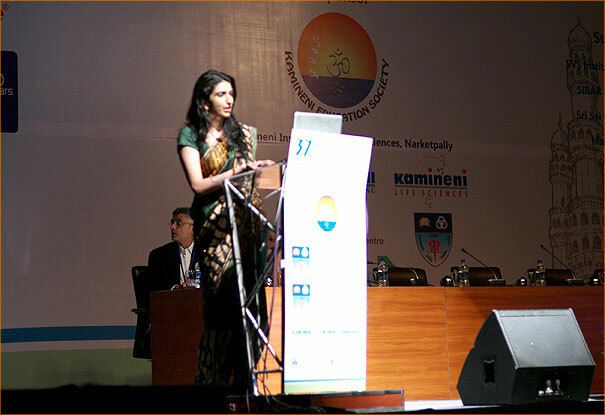 The presentation was on Osteo Odonto kerato prosthesis-A Maxillofacial Perspective. 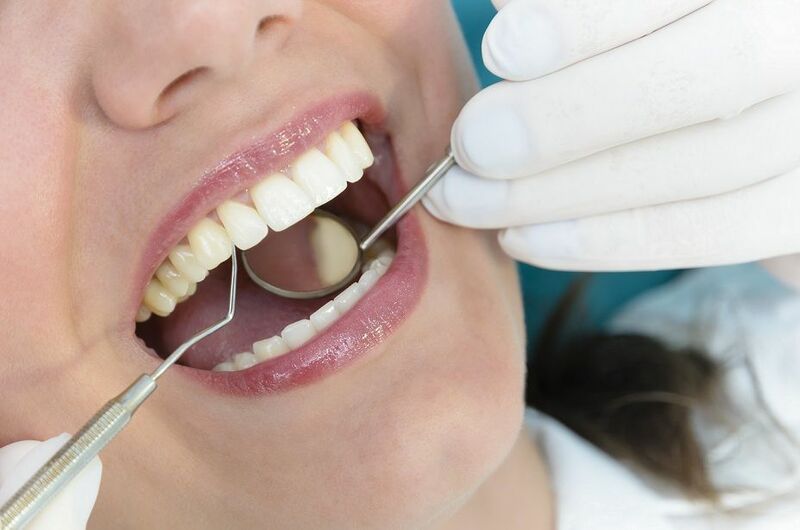 The Osteo Odonto keratoprosthesis or OOKP is a tooth bone periosteum complex on to which an artificial cylinder is fitted. It acts as an artificial cornea for patients not amenable to the usual cadaveric corneal transplants due to an extremely dry scarred cornea. 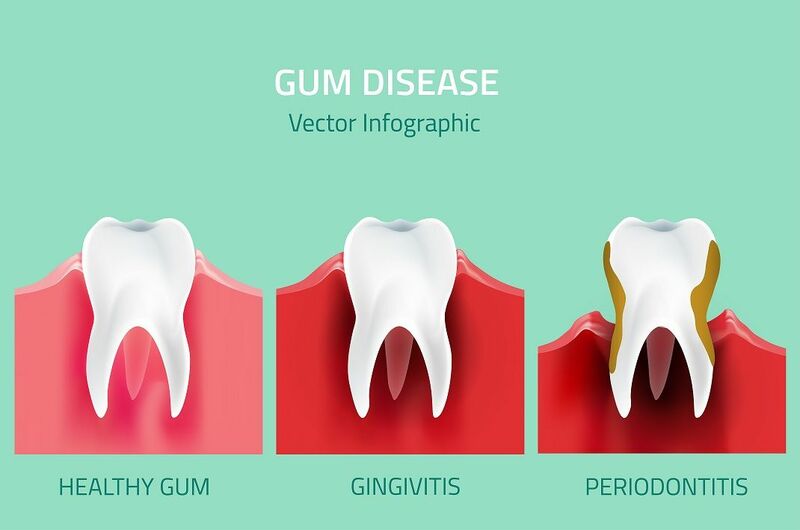 Such patients include those afflicted with the disease like Steven Johnson syndrome, Chemical burns and other immune-mediated diseases. Apollo Hospitals have the largest case series in the country from the maxillofacial point of view. 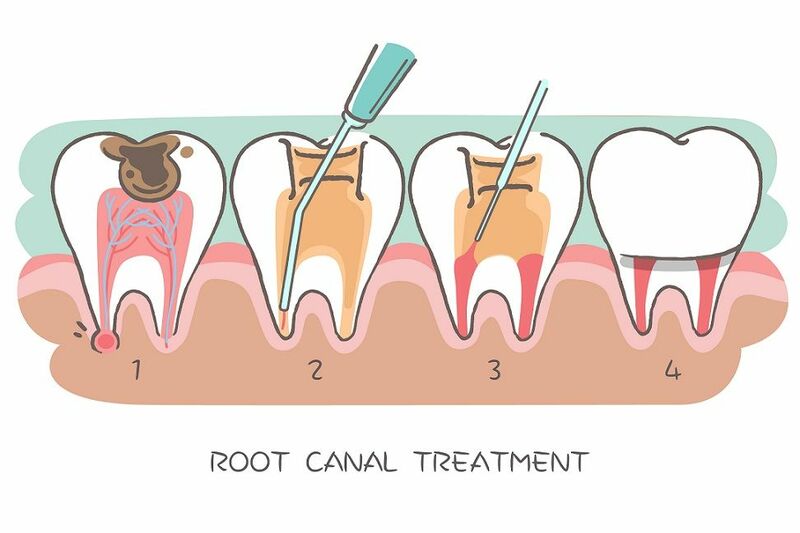 The co-authors are Dr. Vinod Narayanan(Maxillofacial Surgeon) & Dr. Srinivas Rao(Ophthalmologist).